Date paste is a natural sweetener with fibre and essential minerals including iron, calcium, magnesium, and potassium. Plus, it tastes like caramel! Date paste is like nature’s caramel. It’s also vegan, gluten-free, dairy-free, and pretty much allergen free. Unless someone has a date intolerance? But that would be super rare. I definitely have never heard of a date intolerance! 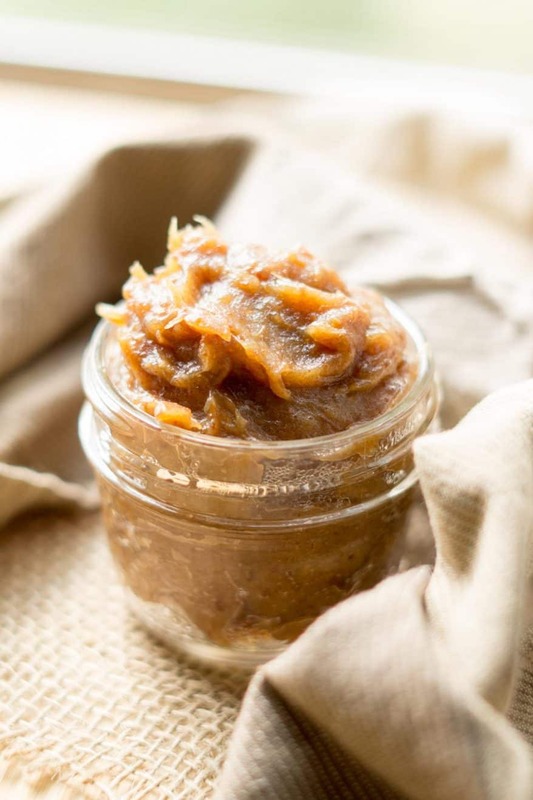 Oh and date paste is certainly MUCH healthier than cream and sugar-based caramel! Not only that, it’s super easy to make! And it’s so lovely to bake with because it adds moisture. Am I gushing too much about date paste? 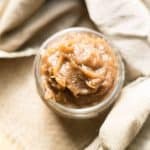 Now that I’ve convinced you that date paste is the way to go, what do you do with it? If you’re like most people your experience with dates is limited to date squares. Which, by the way, are DELICIOUS. Date squares hold a special place in my heart. But we can do so much more with dates people, so much more. I would recommend starting off with some energy balls. With this recipe you can mix and match flavours but I’ve got 15 different concoctions ready to go if you’re more of the “follow a recipe to a T” type of person. Then, warm yourself up with some healthier hot chocolate. It’s thick,creamy, and rich without actually being full of cream and sugar! Then tomorrow a breakfast, substitute jam on your toast with a little date paste instead! 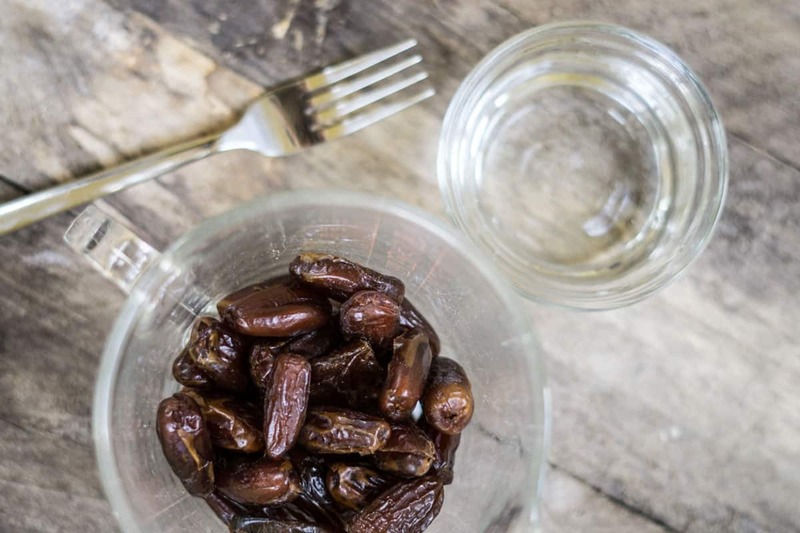 1) All you need to make this date paste are dates, water, and a fork! 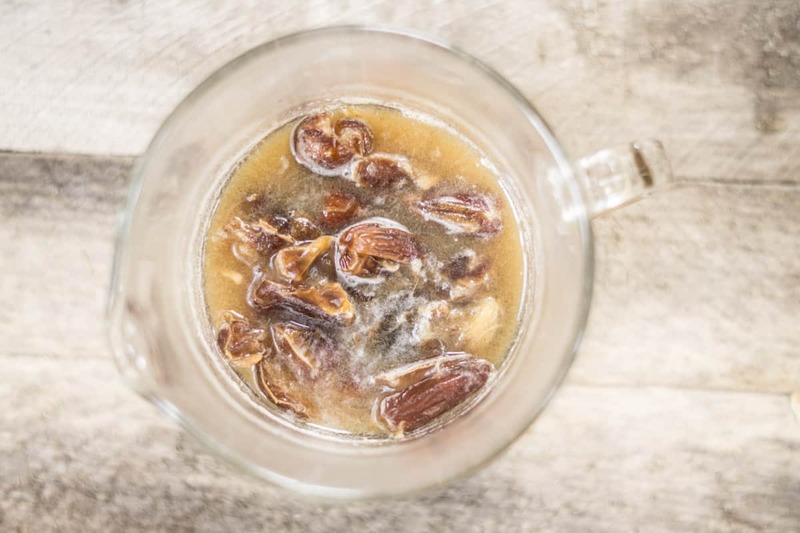 2) Pour the water over the dates and microwave on high for 1 minute. 3) Remove and mash with a fork. Repeat step 2 until you get a caramel-like ooey, gooey, yummy paste! 4) Of course, using a food processor to smooth it out even more is a bonus… but not absolutely necessary! 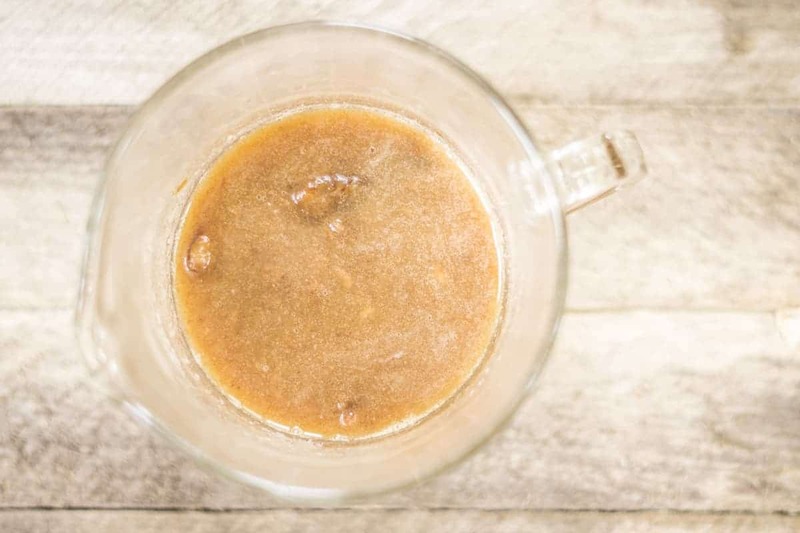 There’s no reason someone without a food processor can’t enjoy the goodness of date paste! When you substitute dates for table sugar, you get a bunch of other nutrients along with your sugar! Sugar is just food that’s been stripped of all fibre, vitamins, and minerals, so why not make your treats sweet with something that actually provides all of those? p.s. For any expecting mamas, there’s also some research that eating about 6-8 dates daily from 36 weeks can increase your odds of going into labour spontaneously (vs being induced), shorten labour, and dilate your cervix!! Date paste is a natural sweetener with fibre and essential minerals including iron, calcium, magnesium, and potassium. It has a smooth, caramel-esque flavour and texture! Microwave at 1 minute intervals. Mash with a fork in between. Once the dates are soft and it’s starting to look like caramel, mash, mash, mash! The goal is to end up with a thick paste (see photos). If your paste seems too watery, microwave longer to allow some water to evaporate. Alternatively, for an even smoother paste, blend in high speed blender or food processor. It’s not absolutely necessary but it does make for a smoother paste! I have a recipe that calls for 8 whole dates. How much date paste should I use in place of the whole dates? Hi Carol! It really depends on what type of dates? Does the recipe call for medjool or deglet noor? They’re quite different in size. I have a recipe that calls for 1/3 cup of honey – can I substitute the date paste for the honey and would I use a 1:1 ratio? It really depends on the recipe! Is there a rule of thumb to follow when substituting? Yes, I think the date paste would make a great substitution! If the recipe was for baking or a salad dressing, it probably wouldn’t work. How shoutthe date paste be stored and how long is its shelf life? Good question! It should be stored in the fridge. It will last several weeks. Yes, this step can be done in a pot on the stove! I don’t have a microwave. How can I soften the dates? That step could also be done in a pot on the stove!